Drugs have been used to access the spiritual dimensions of existence in many cultures since the dawn of civilization. Artists have likewise sought to escape the confines of the rational mind through the use of substances that expand the senses, alter perception, and suspend the repression of the conscious mind. And others, eager to subvert the conventions of a prevailing culture, have hoped to achieve liberation and even Enlightenment by modifying how they thought. 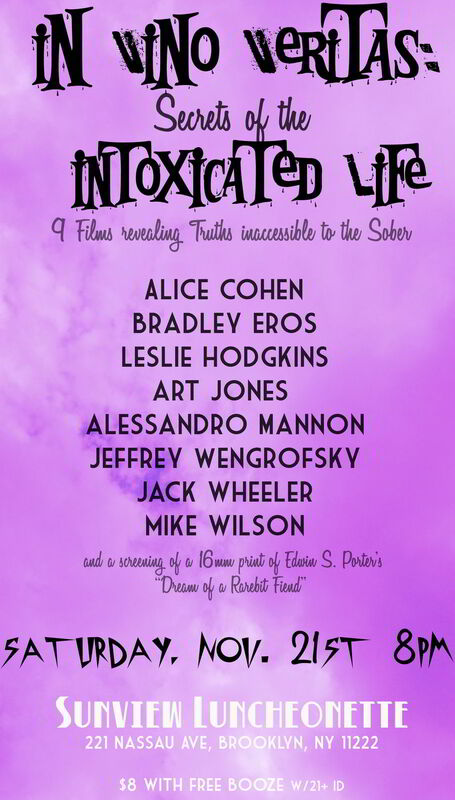 In Vino Veritas: Secrets of the Intoxicated Life will explore the heights and depths of consciousness to reveal truths inaccessible to the sober.